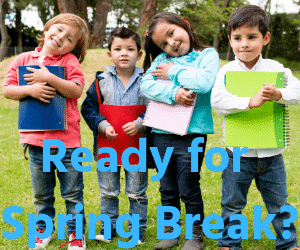 Spring break for our award-winning schools lasts from April 15th-19th and if you are planning on staying in town (staycation, anyone?) you’re in luck because there is so much to do at The Saluda River Club and in the greater Lexington/Columbia area. Start your staycation off right with a trip to The Columbia Marionette Theater. On Monday, April 15th you can catch a 10am show of The Frog Princess, an epic musical adventure featuring “a wide variety of puppetry styles, including marionettes, shadow puppets, and table top puppets.” Round out the day by heading home to have the kids make a few puppets of their own. If the weather is nice, head outside to check out all the new spring growth on our walking trails. You’ll find miles of paved trails that take you through all three Saluda Club Districts, and if you are more of the adventurous types, head off-road to check out our nature trail system. Take along a picnic and eat it in our picnic shelter and then try our outdoor exercise gym. You and your kids will head home feeling ready for some quiet time snuggled on the couch with a good book or two. Now that’s a (vacation) day well spent. Head over to the Lexington County Museum and bring a bit of the area’s history to life. With 36 historic buildings, the museum lets you explore Lexington from the colonial era through the Civil War. You can take a self-guided tour or let an experienced tour guide lead the way. Afterwards, head over to Menchie’s Kitty’s Korner for the best frozen yogurt in town. Saluda River Club’s very own Chickawa Outdoor Center is on the agenda this morning. With the fire pit and pool area, this is the place to meet up with other neighborhood families and have some adventures together. When you’re ready to head home, spend a few hours getting ready for the upcoming Saluda River Club community yard sale happening on Saturday, April 27th. Check out the Hall of Heroes—Discover Your Superpower event at the South Carolina State Museum in Columbia. This interactive hands-on adventure invites you to discover your own superpowers while exploring the history and science behind America’s superhero obsession. That night, take your favorite superheroes over to Segra Park and catch the Columbia Fireflies game. The Fireflies are a Class-A affiliate of the New York Mets and seeing them is like seeing the baseball heroes of the future. Whew, what a busy week. You’ll need the weekend to recover. How about a few days of relaxation at the beautiful facilities found at our very own relaxing Saluda River Club? It’s just the type of vacation we can all use right about now.